The ’90s were a rather turbulent period for music in general. Several genres skyrocketed in popularity, the scenery changed, and you could say that hard hitting sound became more popular overall. Among the bands that really took off in this time frame, Pearl Jam holds a very special place. For the fans, they are the third pillar of Seattle’s grunge scene, and probably the one that the most impact. However, many will tell you that you can’t really lump Pearl Jam into any specific genre – they are simply Pearl Jam. Whatever the case may be, this band has formed one of the most authentic followings in the world. Their fan base has remained loyal to the band even when they completely disappeared from world’s music scene, ceasing all activity right down to giving interviews. What attracted so many people to Pearl Jam was their hard-driving music that had a profound message. Something relatable to many young kids at the time, something that had a meaning. 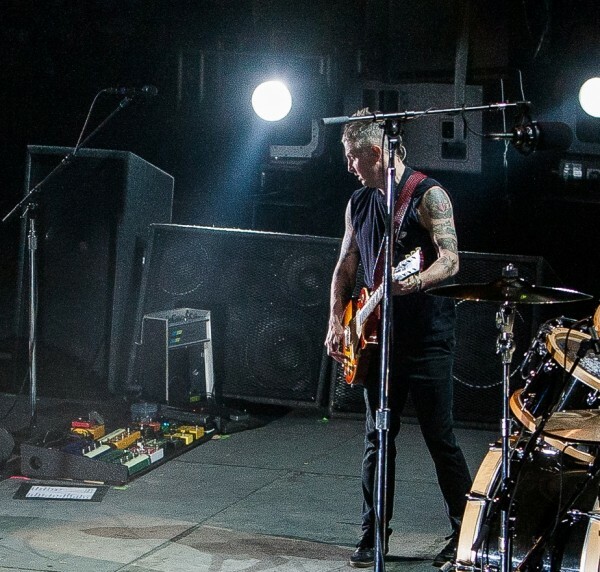 Aside from Eddie Vedder, the vocalist, one person who had a lot of influence on Pearl Jam’s style was Mike McCready. 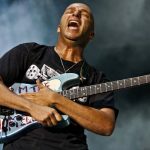 As a guitarist, he gave this band a signature consisted of powerful riffs and intriguing solos. Today we’re going to take a look at what he used to build that sound which is so easily recognizable these days. 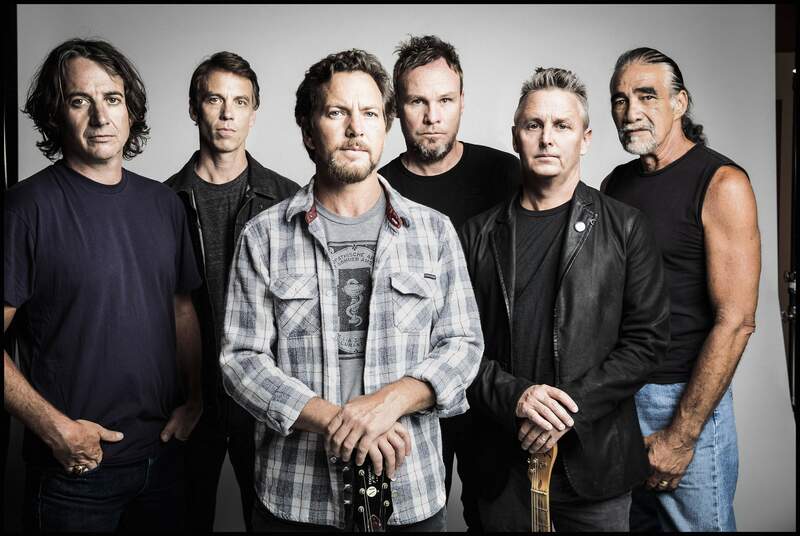 When we said that you can’t really lump Pearl Jam into any specific category, it is because you can hear a mix of various genres in just about any of their songs. 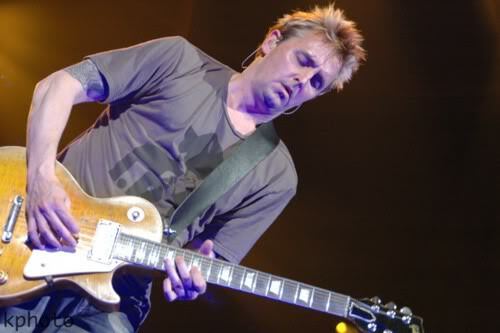 Mike McCready was always very specific about his tone, which had to be perfectly fine tuned. He, along with Stone Gossard – the rhythm guitar, wasn’t all that worried about the genre of Pearl Jam. They were aiming to write good music, and give the lyrics a vessel that would deliver the message in the best way possible. With that said, let’s check out the gear McCready used over the years. As always, we’re going to start with his guitars. 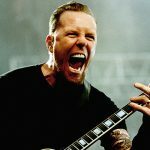 Unlike most guitar players who have reached his level of popularity, Mike was always running back and forth between two brands – Fender and Gibson. He started with a 1952 and 1953 Blonde Telecaster, only to move to a Gibson Les Paul Junior with double cuts. Two guitars he is most known for are the King of Kings ’59 Les Paul and the Fender 70’s Stratocaster Sunburst. Speaking of the latter, he has several guitars that fit the description. King of Kings is still one of his favorite instruments. 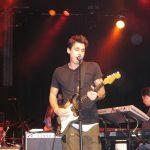 He got it back in in the day for some $25,000 which he managed to pull off by trading a bunch of guitars aside from fronting some cash. All things considered, that was a great investment seeing how this specific model goes for up to half a million dollars these days. 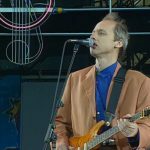 When it comes to some of the more unusual guitars in his inventory, McCready has a Gibson Flying V from the 1980s, and a 1991 Gretsch Silver Jet Reissue. 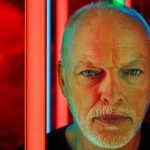 Interestingly enough, one of his main axes as of lately is the David Gilmour Signature Strat. When it comes to amps, McCready has been known to use a variety of brands and amp models. Some of the more common models in his possession are the Marshall Plexi head and the accompanying Marshall 1960B cab with four 12 inch speakers. There’s also a Fender Bassman Combo from 1959 and Vox AC30. If you think about it, Mike always pushed the ‘standard’ configuration of guitars and amps, modelling his tone mostly using effects pedals. However, when we’re talking about someone like McCready, that is an approach to guitar tone is always subject to change. Case in point, these days McCready is all about the 65 Amps. Something along the lines of the Empire or London has been seen resting on top of one Savage combo. 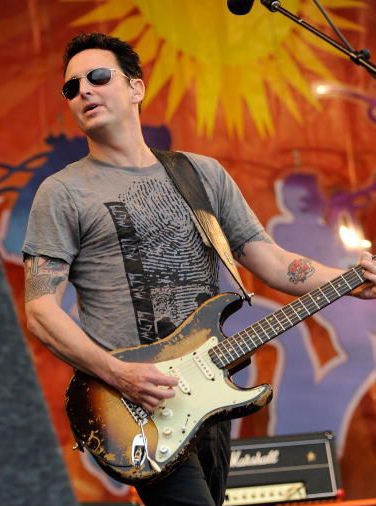 A good chunk of his sound comes from the amps, and this sudden change to 65 Amps is just another move by McCready in his search for the perfect tone. If you were to take a look at McCready’s pedalboard at any given show, you would find a very busy setup that would rarely be the same one or two shows after. With that said, there are some pedals which Mike liked enough to keep around as constants. Let’s start things off with a few overdrives. For a long, long time, Mike was using mostly Ibanez TS9 Tube Screamer. These were his primary choices when some bark had to be added to the tone. These days, he moved over to the Way Huge Green Rhino. This pedal is a bit more niche in nature but still has that vintage style vibe. When it comes to other effects, you could see an XO Micro POG from Electro-Harmonix, Hughes & Kettner Rotosphere, as well as Boss OC-2 Octave. His most current setup consists of pedals such as Xotic’s AC Booster Overdrive, MXR MC-404 Crybaby Dual Inductor Wah, Diamond’s Compressor, Line 6 DL4 Delay and more. He definitely keeps mixing things up, but the core of his sound is more or less consistent in nature. 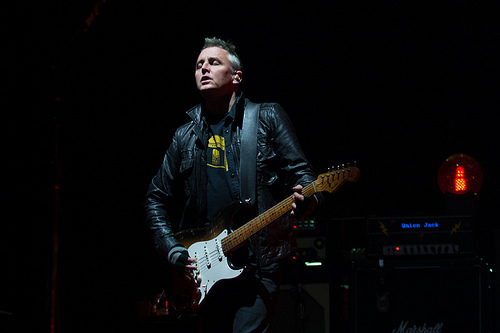 Mike McCready is one of those guitar players who is always searching for new ways to spice up his signal chain. 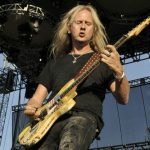 Aside from the guitars for which he has developed a pretty distinctive taste, every other part of his gear is prone to experimentation even after all this time. If you were on a mission to emulate his tone, you would first need to figure out which album you are going for. However, although it’s pretty simple to find the McCready vibe as long as you have a Strat, a Marshall amp, and a TS9 around. Even though grunge musicians were never really known for their finesse, Mike and Pearl Jam took things into a bit more complicated direction. 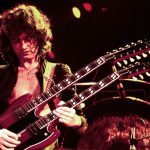 That’s why he is considered to be one of the best guitar players today.